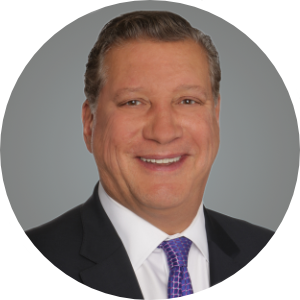 Prior to joining Colliers in 2018, Jim was Senior Managing Director of CBRE’s Chicago region, where he was a member of the Executive Committee and drove the firm’s overall regional operations and business strategy. In addition, Jim had direct oversight for several of CBRE’s largest business lines. Before joining CBRE in 2011, Jim was a Senior Vice President at Jones Lang LaSalle (JLL), where he provided strategic oversight and management of various account teams that completed more than 400 transactions, involving 13 million square feet of space, $250 million of invested capital and sustainable cost savings of more than $50 million. He was also a member of the firm’s Integrated Program Management Advisory Board, helping drive improvements and best practices. Prior to joining JLL, Jim oversaw global real estate operations – including numerous office, industrial and land transactions in Europe, Asia and the U.S. – for BP’s former chemical subsidiary, Innovene. Prior to that, he managed award-winning redevelopments of several refineries, terminals and other large contaminated properties for BP. As part of his responsibilities, he was also project executive for BP’s 640-acre multi-use commercial development, Cantera, in Chicago’s west suburbs. In the decade prior to joining BP, he was the Chief Executive of Dos Griegos Corporation, a Santa Fe, New Mexico-based privately held, multi-use real estate development company, and, before that, he served as a practicing attorney with the Amoco Oil Company and Homart Development Company. A resident of Lake Forest, Jim served as a member of the city’s Planning Commission and is active with numerous community and charitable organizations including serving on the Boards of NAIOP Chicago, The American Red Cross of Greater Chicago, Lurie Children’s Hospital Pro-Am Golf Committee and the Chicagoland Chamber of Commerce and, as the executive sponsor of various charitable events, raising over $1,500,000 for local charities.